Jean-Claude Mas was born in a winemaking environment in the Languedoc, in Pézenas. At the age of three, during the harvest, he escaped from his mother and ran 2.5 kilometres to meet his grandfather in the cellar. It was a moment never forgotten, when his interest in and passion for wine was born. Some 80 kilometres southwest of Pézenas, Gérard Bertrand’s father, Georges Bertrand, invited his son, 10, to work the harvest in his cellars at Domaine de Villemajou at Boutenac in Corbières in the Aude Département. The idea was by the time he was 50, he would have 40 harvests under his belt and possess more information than anyone in the region. Mas was all about cars and wines in his early years of business, which included import/export work in America, before finally returning to the South of France in the early 1990s. Bertrand spent a decade playing high-level rugby from Narbonne to Paris before returning to the family wine business in 1987. Ever since, both Frenchmen have been on a tear, building a foundation of quality that has raised the image of the Languedoc and their brands worldwide. It’s not easy to call these guys pioneers in a region with more than 2,000 years of wine history; where the 400,000-year-old Tautavel Man was uncovered, not to mention a few spots of occupation by the Celts, Greeks, Phoenicians, Romans, Visigoths, Moors, and Franks, all before the Medieval period got underway in the 12th century. For Mas and Bertrand, the New Languedoc is on a mission to get back on equal footing with the other great wines of France. Today, Domaines Paul Mas spreads across 550 hectares in central Languedoc and the company works with 1,312 hectares boasting indigenous and international grapes on a wide variety of terroirs. 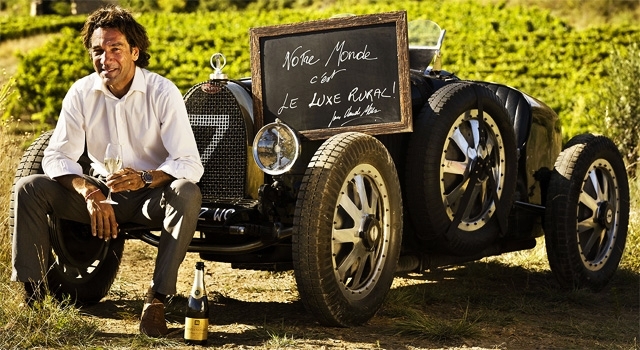 “It is what we like to call le luxe rural, or an everyday luxury, and it sums up our culture and philosophy,” says Mas. The Gérard Bertrand empire includes 11 winemaking estates spread across 600 hectares of the best Languedoc terroirs. These are what Bertrand refers to as the crus of Languedoc. Gérard Bertrand is also a partner to 40 winemaking estates in independent wineries and 10 wine cooperatives with a wide reach across the south. The farming is as natural as it can be and, in many cases, is now fully organic if not certified Demeter Biodynamic. Travellers can stop at both wineries to taste the South of France in style. At the hotel at le Château l’Hospitalet, 10 minutes from the centre of Narbonne, the Bertrand experience begins in the heart of the La Clape Massif conservation area and overlooking the Mediterranean Sea. The restaurant offers, among other things, 24 wines and three set menus. Over at Domaines Paul Mas, after checking out the wine shop and tasting room, a must is the amazing Côté Mas. The style is relaxed, and it’s all set in the heart of the Languedoc countryside. The menu changes seasonally, with ingredients grown locally in and around the nearby village of Pézenas. As for the wines: There is a selection in B.C., but nowhere near what there should be given the talent emanating from these very modern, forward-looking companies that are miles ahead of most competitors in philosophy, execution, and long-term commitment to making wine. A trio of Paul Mas wines in government stores that should be on your everyday drink list includes a Pays d’Oc Grenache, Pays d’Oc Malbec, and Pays d’Oc Viognier, all selling in the $10 to $13 range. To get a sense of the best, check out the Paul Mas Gres de Montpellier Red Blend, available in select private wine shops for about $30. Mas also developed the cheeky Arrogant Frog brand, whose wines have always over-delivered for their modest price. The Gérard Bertrand selection is painfully small in government stores, but what is here is terrific. The Gérard Bertrand Château de Villemajou 2011, where Bertrand attended his first vintage, is stellar. Equally compelling is the Gérard Bertrand Château l’Hospitalet La Clape 2012, a Mediterranean charm, and a personal favourite, Gérard Bertrand Tautavel Hommage aux Vignerons 2011, named after the site of some of the oldest human remains. Gérard Bertrand and Jean-Claude Mas are rearranging the French wine map with excellence and “savoir faire or know-how,” as Bertrand puts it. “But equally important is faire savoir or sharing of knowledge.” It has proven to be sound advice to both as they pursue the spiritual growth of le luxe rural in the Sud de France.